Investing in property in the UK is an amazing way to accumulate wealth and be on your way to being financially free. 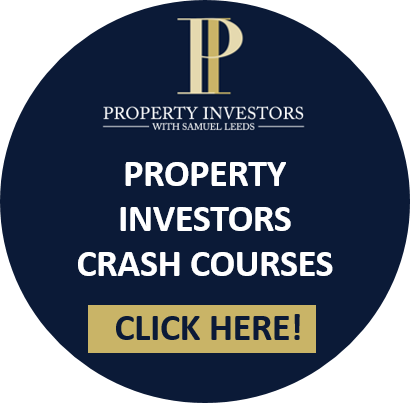 Samuel drops a view tips on why property is the best way to invest your money and the way to do it. If you’re just getting started in property investment the method that is most common is to buy and sell. This means taking the property of the market potentially doing a quick refurbishment to add value to the property then reselling it for a profit. This method would require you to oversee the work until it’s complete and the property has been sold. This could become time-consuming and the payout results in a lump sum of money which is good but doesn’t allow financial freedom. The best method that helps build long term income and enables you to become financially free is the buy-to-let strategy. Typically this method does require you to have some money. You’ll be required to put down a deposit worth 25% of the property. Utilizing sites such as Right Move and Zoopla will help you find properties. This is the first step potential investors should take, if you feel that your property knowledge isn’t great the best way to learn is to be hands-on as Samuel suggests. Locate some properties go and view them get a feel of what you’re doing learn the business. When you are looking at buy-to-let’s make sure the rent you are charging covers the mortgage you’ll be paying and the cost that comes with management of the property. Buy Low Rent High is the philosophy you should adhere to when you are investing, this will give you the best chance of having a great return on investment. Along with the rewards of investing in property, there are also risks. A problem that many investors need to avoid is buying bad houses. Making sure you are getting your potential property correctly surveyed would alleviate this issue. As a buyer, you will need to be aware of how much the property is worth making sure you are paying the right price. Start low and work your way up. Bad tenants are a lot worse than having no tenants. Having a good property management company in place helps a lot. They will do background checks, credit checks and references making sure that the right tenants are being put into the property protecting your investment. Follow this guidelines and get started on building your property portfolio in 2019.